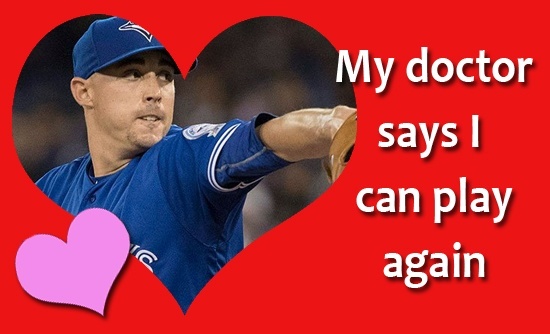 Today is the most romantic day of the year, but it also just so happens to be the day that pitchers and catchers report to Toronto Blue Jays Spring Training. If that isn’t a sign from Cupid himself, I don’t know what is. Spring Training is the first glimmer of hope that baseball season is right around the corner. The boys of summer are trickling into camp (many are there already) as the Blue Jays kick off their preseason schedule next Friday. 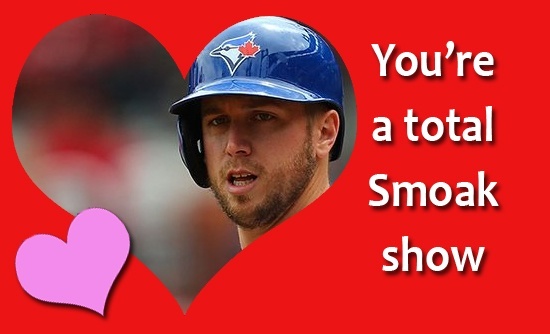 So, to get you in the mood for baseball this Valentine’s Day, here are 10 totally cheesy Toronto Blue Jays valentines featuring the all the most Tiger Beat-worthy players. 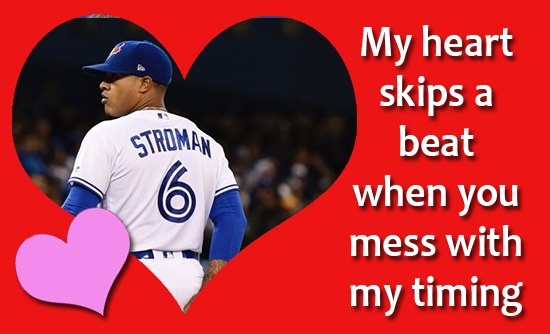 Marcus Stroman is famous for keeping hitters off-balance by messing with their timing. That may not entirely be a bad thing. If this is the kind of commitment Kevin Pillar shows towards catching a fly ball, one can only imagine the lengths he goes to on Valentine’s Day. 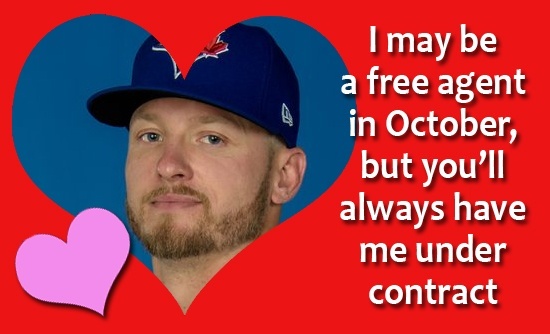 This may be Josh Donaldson’s final year as a Blue Jay, but he’s willing to put that all on hold for Valentine’s Day. 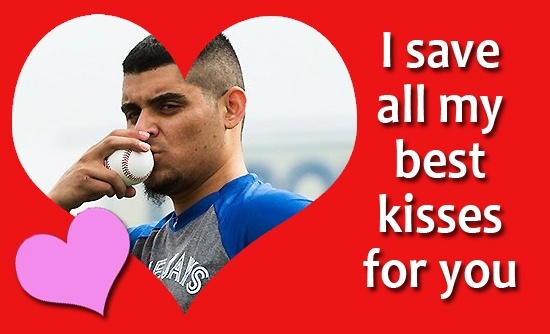 Blue Jays closer Roberto Osuna is ready to save the day. Lightning can’t strike twice, can it? Try telling that to Steve Pearce – who hit two walk-off grand slams in the span of one week for the Blue Jays last year. 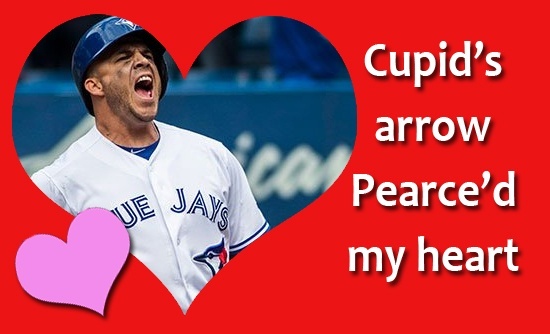 If anybody could land two of Cupid’s arrows on this special day, it’s him. 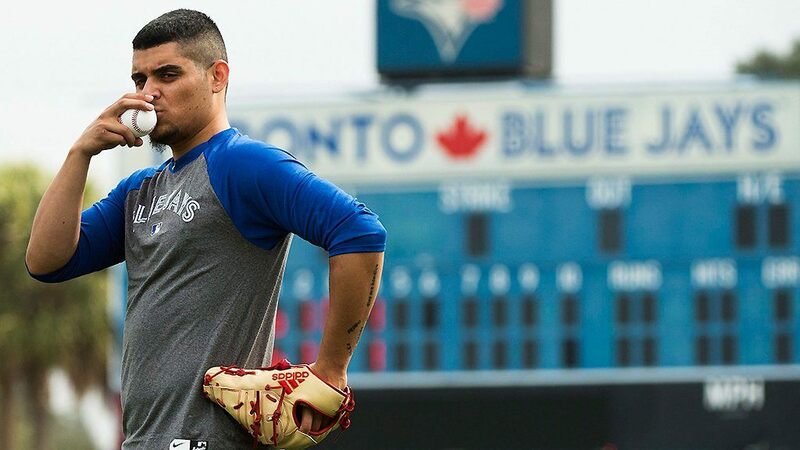 Aaron Sanchez was plagued by blister issues in 2017, but reports indicate he’s “all systems go” for 2018. Justin Smoak came completely out of nowhere last season, but he isn’t creeping up on anybody in 2018. 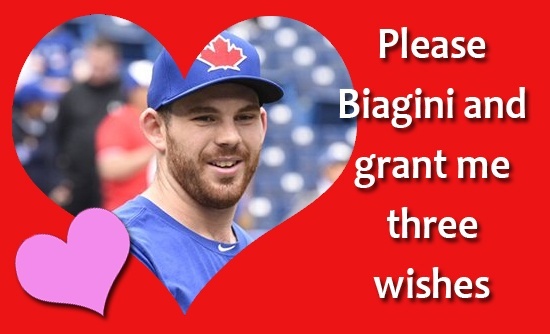 Joe Biagini is a quirky fellow, to say the least. Let’s not make Valentine’s Day any more awkward than it already is, okay, Joe? If the Blue Jays’ 33-year-old shortstop can stay healthy this year, Troy Tulowitzki has the charm to whisk fans off their feet again. 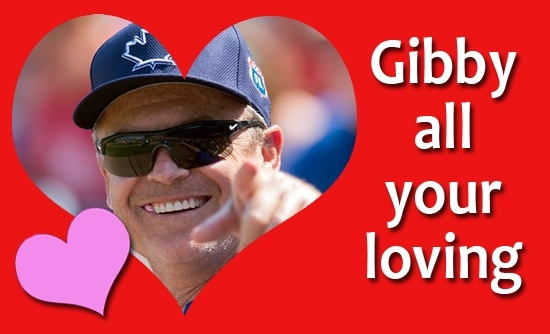 Here’s one last Valentine’s greeting from the Blue Jays skipper John Gibbons as he exhibits some of his signature “Southern charm”.